Homemade bakes, preserves, craft work, cards, gifts, plants & vegetables. Every Thursday from 9.30am to 11.30am. We Are Brontë is a piece of comic visual theatre inspired by the real and imaginery worlds of Yorkshires literary siblings, presented in Publick Transports irreverent style. Physical theatre collides with clowning and improvisation as two performers deconstruct not only gothic themes of love, madness, repression and revenge, but also themselves. Part play, part enquiry into the act of putting on a play, this promises to be no ordinary Brontë adaptation. Car-Boot Sale – 11th october: 6:30 am – 12:00 pm. North Lonsdale Road. Every Sunday from 7.30am until mid-day, depending on the weather. Stalls outside & inside. Bargains to be had. To hire a stall costs £6 per car. No need to apply – just turn up for 6.30am. Annual fashion show at the Coro. Further details to be announced and times to be confirmed. A sculpture trail of anchors, celebrating the history of the canal and present day developers. A fun weekend with lots of fun for the kids at Sizergh Castle near Kendal. 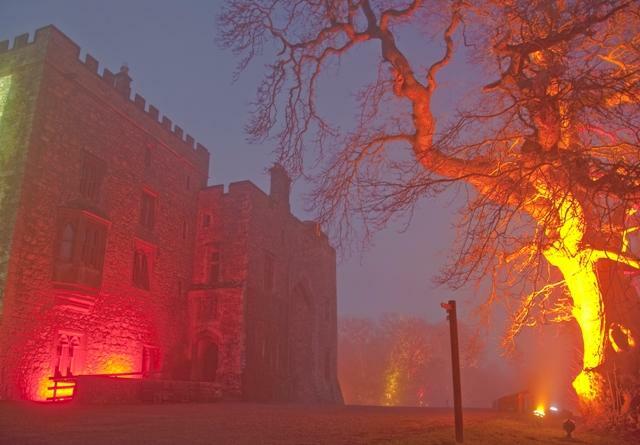 A week of Halloween fun for all ages at Muncaster Castle, Ravenglass. There will be ghostly tours; fire juggling; crafts for the kids; a cannon blowout; a scary maze, and, to finish the weeks activities, a firework display on the front lawn of the castle. FREE parking; Disabled access.